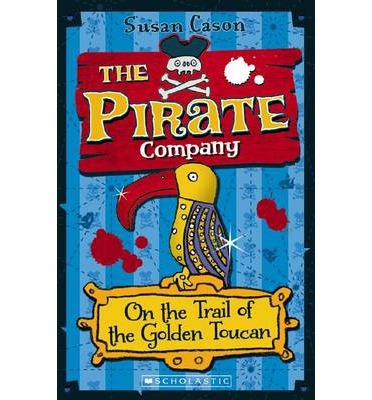 It starts as a tale of a young boy running away to sea on board a pirate ship and quickly becomes an instruction manual on being a pirate. The illustrations are really detailed and all up it is a very informative book. 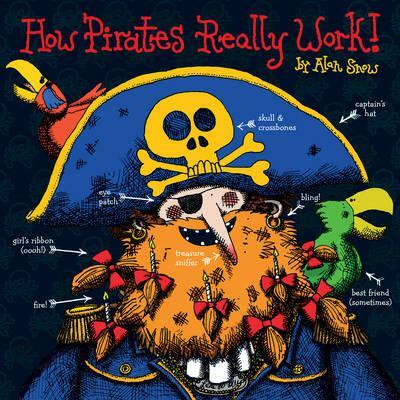 It covers everything from the parrot, to weapons and what to do with your treasure. A really nice touch though is it lists some famous pirates throughout history, it gives a little information about them and leaves plenty unsaid if you want to research more about them. This is a cross between a picture book and a non-fiction one and it sits comfortably in that middle ground. The sheer amount of text and detail makes it a book more appropriate for older picture book readers and some of the illustrations have so much detail in them you can look at them for a long time and still find new things to see. Perfect for someone with a love of pirates. Tom Applecross is the son of a famous explorer and he has hit on very hard times because his dad is missing, presumed dead and his step mum wants him out of the way, that is why she is shipping him off to Boston. Tom doesn’t want to go to Boston. It seems life is taking him somewhere else too. 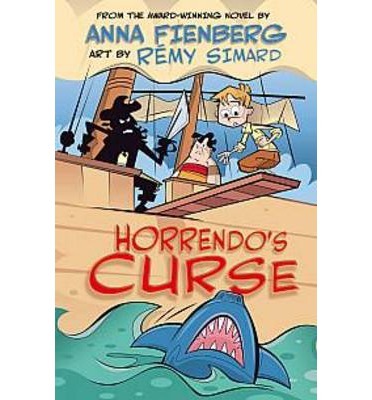 The ship he is on is attacked by pirates, then he gets lost overboard and found by those very same pirates. The pirates don’t want him on board, some seem to think he is nothing but bad luck. Tom has to find a way to prove he belongs there or it’s back to Boston. Then he finds out his step mother was keeping a very big secret from him and Tom decides it’s time to right some wrongs. A romp of a pirate tale. 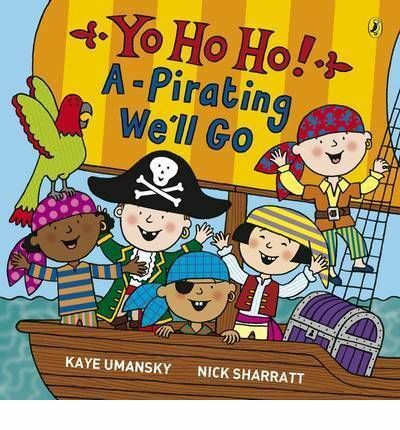 It cracks along at a wonderful pace and has plenty of dirty, nasty silliness you’d expect from a story about pirates. Tom is gutsy, he doesn’t just float along in misery because that’s the hand he has been dealt, he tries instead to survive and do something about it. Tom is a great central character, not the strongest, or the bravest but he is very determined to survive. He also has a very loyal streak and as the story progresses his bravery and cleverness become more apparent. Rosie, the captain’s niece is more suited to the life of a pirate, that’s what she wants to be, but her uncle won’t have it, so the bond between her and Tom is forged on helping each other survive and stay on as part of the crew. The pirates around them are a colourful assortment, some friendly if dirty, others just plain mean. They all add depth and vitality to the story and when it ends you really want to know what happens next, and that’s not a bad thing really. 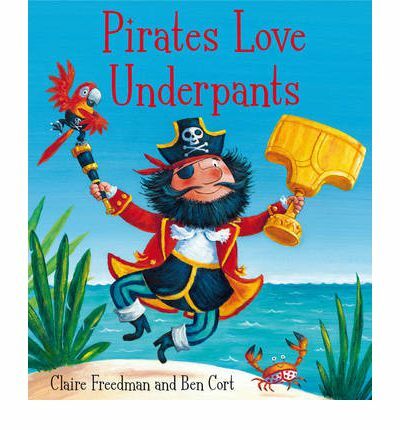 Well worth a look if you need something with adventure and pirates, booty and treasure. Egbert is the youngest, poorly treated and terribly picked upon child. His father runs an orchard on Deadweather Island, a place that houses their family and many pirates. Egbert (or Egg as he becomes known) learns what he can from his horrid teachers, which may not be much but at least he can now read. One day his father finds something and they set off to Sunrise Island – something totally unexpected. Before long Egg’s life has totally changed. At first he thinks this may be a good thing. Until he discovers his benefactor, Mr Pembroke, is more than what he seems. If Egg is to survive he has to run, to stay one step ahead of Pembroke and figure out exactly what it is the man is after. 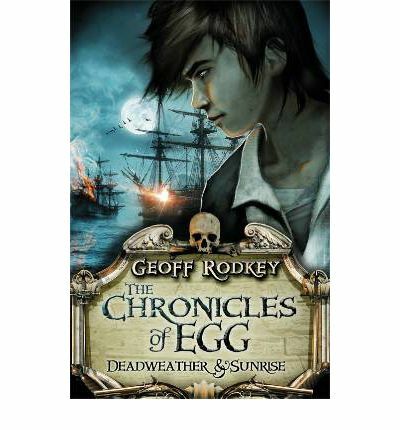 This is a swashbuckling sort of adventure and Egg is a total underdog. Picked on by his family, always getting the worst of everything. You want better for him and you go along totally with the story in the hope he has some victory. For much of the story he is very much alone so the addition of Gus (a cabin boy) is welcome. Gus brings a little wildness to the story, while Egg brings grit and determination. There is something very appealing about Egg, there is slot he doesn’t know but he tries to learn. 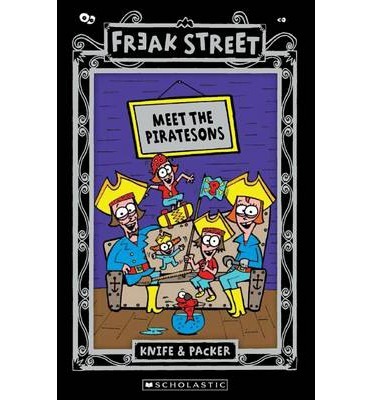 The story starts off a bit slow but overall it is an entertaining adventure set amongst grotty, nasty characters, some of whom are pirates. If you are looking for something to fill the post Percy Jackson void then this might appeal.